Editor’s Note: This is the second in a series of articles about the early history of Nelson. Click here to go to the first article. The task of settling Monadnock Number Six, a town eight by five miles in the middle of the wilderness, must have been daunting. It would take a strong will to make it happen. The 25,000 acres had been granted to a set of proprietors with the requirement that there be 50 families settled in houses with 12 acres cleared and fenced within six years of the grant. Breed Batchellor was the leader of the effort. Thomas Packer, one of these grantees (and a Masonian Proprietor, too) may have recruited Breed Batchellor to get the town settled. Packer certainly had a sizable stake owning the entire northwest quarter of the town and more. Batchellor’s first documented association with the town was a deed for 2135 acres purchased from Jonathan Blanchard in 1763. Batchellor settled in 1767 and immediately became the Proprietor’s Clerk responsible to make settlement happen. None of the original grantees ever settled perhaps because they were too old by the date of settlement (fifteen years after the grant) but probably because they’d only been speculators from the beginning. Luring settlers took a multifaceted plan. They needed roads, basic industries in the form of mills for grinding grain and sawing logs into boards and trades like blacksmithing, house building, leather working and doctoring. They also needed people to actively sell land to prospective settlers and people to finance those sales. Ministers from nearby towns provided preaching in those early years. Pioneering settlers were needed to encourage other, less adventuresome people, to settle as well. All needed to be able to do the hard physical work to clear rocks, fell the sometimes three foot diameter trees they found here and pull the stumps with oxen. 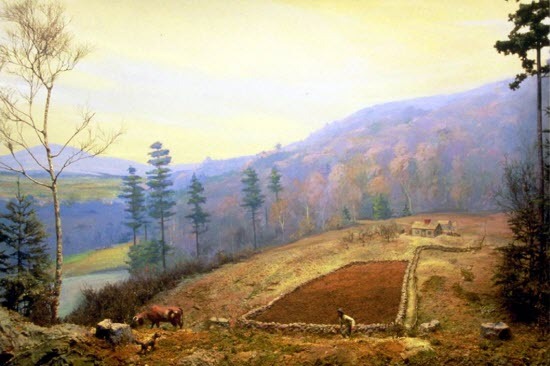 Batchellor probably recruited the second resident, Dr. Nathaniel Breed who arrived in 1767, built a house, began clearing land for a farm and started buying and selling land in Monadnock Number Six. In Nathaniel Breed, Batchellor had a resident, a medical man and an active land agent. Dr. Breed was forty when he moved from Eastham, Massachusetts with his wife and five children. The Breed’s had two more children after they arrived including Abigail born in 1769. Some settlement activities were impossible to carry on simultaneously. How do you build roads if there is no one here to build them? How do you entice someone to erect a sawmill when there are few customers? How do you convince those first people to come? How is all this financed? Financing was actually the easy part, though collections may have been difficult. Batchellor and the other early residents could call a proprietor’s meeting and pass motions to get things done assessing the grantees (also called settling shares) to cover the costs. Those early meetings must have been lightly attended, but they regularly voted money to layout lots and roads in the town. Early residents with little ready money could work off their assessments by building roads, often to their own houses. Non-residents paid in cash or forfeited their land to tax sales. Nathaniel Breed built a “double pole house”, a large log cabin. He and other early settlers built log cabins because there was no mill to saw boards for board houses. Batchellor seems to have had a board house from the beginning; he lived just over the line from Keene on the first road that ran from Keene to the site of the future meetinghouse. There were mills in Keene that could supply him with sawn boards. Settlers had had board houses in Massachusetts and wanted them in their new town as well. There was an early plan of roads that is now lost. 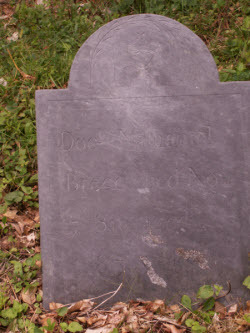 It is clear that there was a road from Keene to the site of the future meetinghouse (the current Nelson Cemetery) prior to 1773; one from that site to Stoddard (then called Limerick) following roughly the course of the Old Stoddard Road; and one from the current village to Joshua Kitteridge’s (Laughlin today) and from there to the Taylor Mill site. In 1773 thee additional roads were built: one from the meetinghouse to the Dublin line at the outlet of Silver Lake, another from the meeting house up Tolman Pond and Cabot Roads to a cellar hole where James Bancroft lived, and the third from the road to Stoddard over the southwest shoulder of Osgood Hill, down Brick Yard Road and back on Tolman Pond Road to its western junction with the Cabot Road. Batchellor built the first sawmill himself on the brook that empties Center Pond just downstream of the bridge on Center Pond Road. Daniel Woods was enticed to build a gristmill at the outlet of Pleasant Pond, later Breed Pond and now Silver Lake. Having the use of land they did not have to buy immediately attracted early residents. Joseph Stanhope came to Nelson that first year building a pole house on City Hill, but only bought the place from Batchellor in August of 1769. Benjamin Day and his son, Peletiah, bought 208 acres from Breed Batchellor in May of 1774 “with the dwelling thereon.” Someone had cleared the land and built the “board house” prior to that. It seems likely that John Proute, an early settler who moved away, had built the house, but never followed through with the purchase. We know Proute cleared the place and was there 3½ years, but he never took title. The house, now owned by Maury Collins is likely the oldest house in Nelson today. Of necessity a few people ran things. Breed Batchellor made decisions in concert with a few fellow residents and his patron, Thomas Packer. The town raised money that was often paid to Batchellor for surveying, road building and other activities. 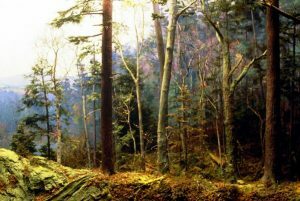 His motivation was profit and the threat that failure to settle the town by the deadline would put his title to land in Monadnock Number Six at risk. The stakes for Batchellor were huge. He took short cuts and made enemies in the process.